Along our path from Denver to Boise, we detoured to loop around the Upper Colorado River Scenic Byway north of Moab, Utah, and circling Arches National Park. 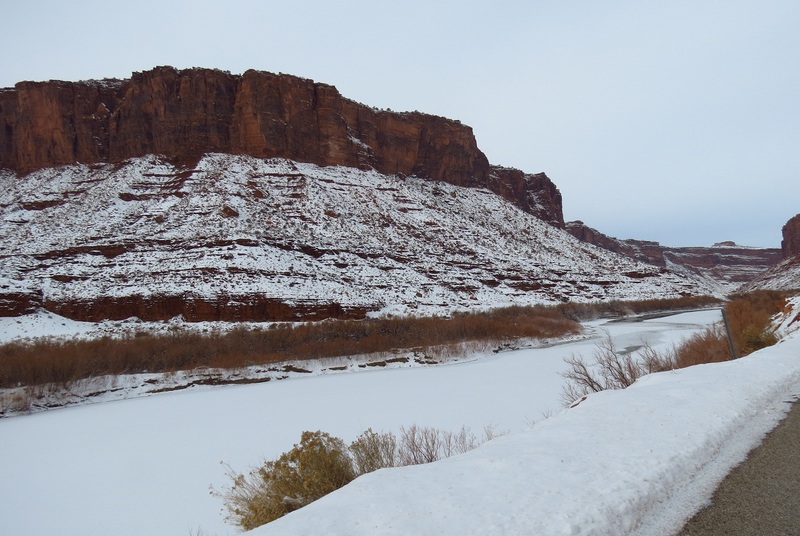 Upper Colorado River Scenic Byway, Utah. The scenery was breathtaking, and the birds were great too. 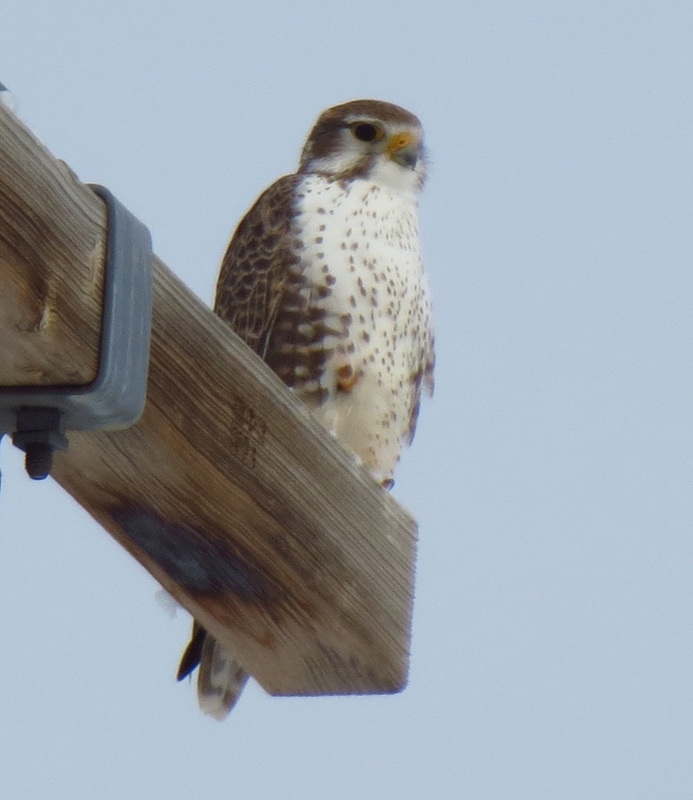 We started off with a beautiful Prairie Falcon perched on a pole. Prairie Falcon. Upper Colorado River Scenic Byway, Utah. December 29, 2012. Horned Larks were quite abundant, we passed several different flocks. 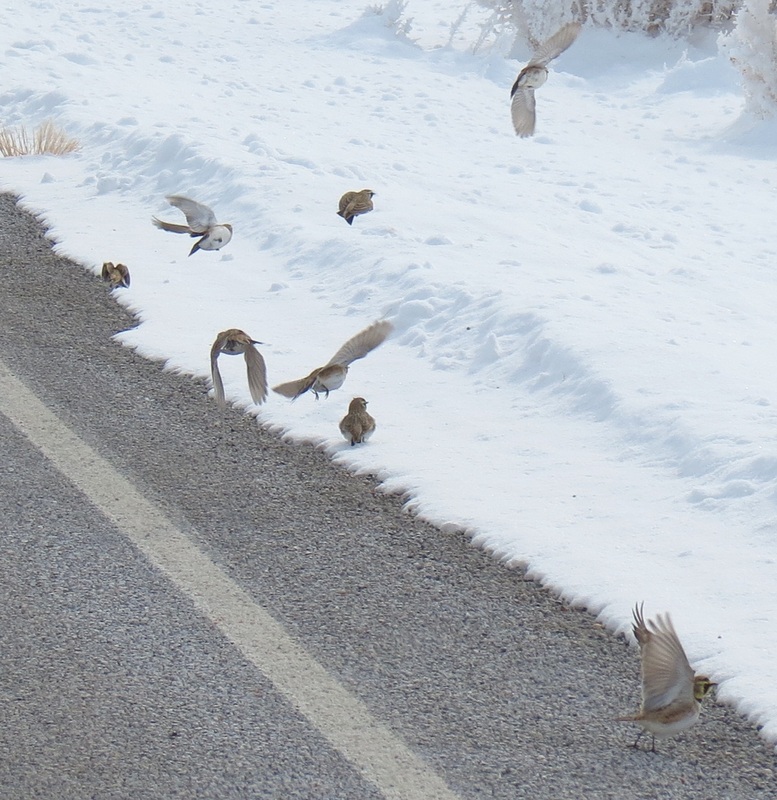 At one point, we found a flock foraging on the shoulder of the road. 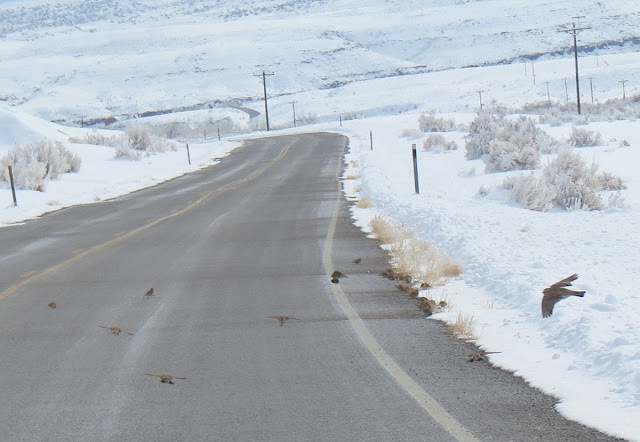 As we approached, the flock took flight and flew straight down the middle of the road, keeping pace with our car. Horned Larks taking flight. Upper Colorado River Scenic Byway, Utah. December 29, 2012. Horned Larks, cruising down the byway. Upper Colorado River Scenic Byway, Utah. December 29, 2012. 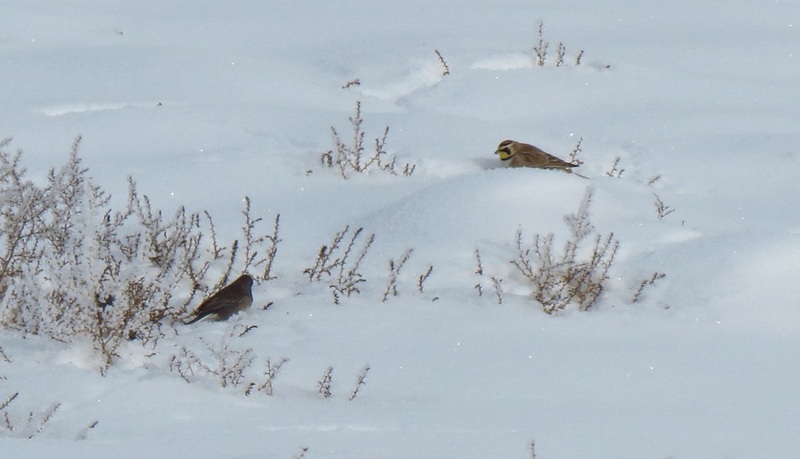 One patch had a number of Horned Larks, Dark-eyed Juncos, and Song Sparrows. Dark-eyed Junco, Horned Lark. Upper Colorado River Scenic Byway, Utah. December 29, 2012. The Upper Colorado River carves a beautiful canyon through the red sandstone. Upper Colorado River Canyon, Utah. December 29, 2012. Other highlights that we weren't able to photograph included a Rock Wren, a couple of American Dippers, and several Rough-legged Hawks. We were hoping to see Gray-crowned and Black Rosy-finches, Pinyon Jays, and Juniper Titmouse, but we didn't get so lucky on this trip.